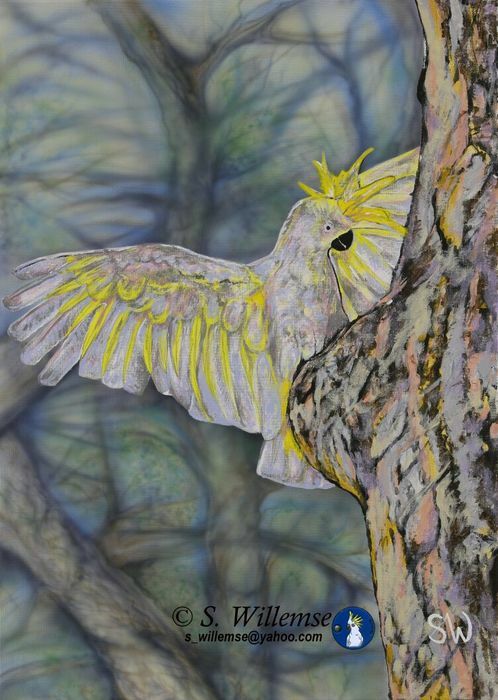 Welcome to the Amazing World of Australian Birds by Susan Willemse! At Fine Art Shippers, we appreciate young and upcoming artists and always try to help them in any possible way. We love to feature their work on our blog, and we certainly offer the most affordable rates for any art handling and art logistics services they need, thus helping talented artists spread their art around the world. For example, in one of our previous posts, we wrote about Susan Willemse and her fantastic paintings depicting Australian birds. Now, let us share with you more information about this contemporary artist and her outstanding work! Susan Willemse was born in Rhodesia, grew up in South Africa, and now lives in Canberra, Australia. 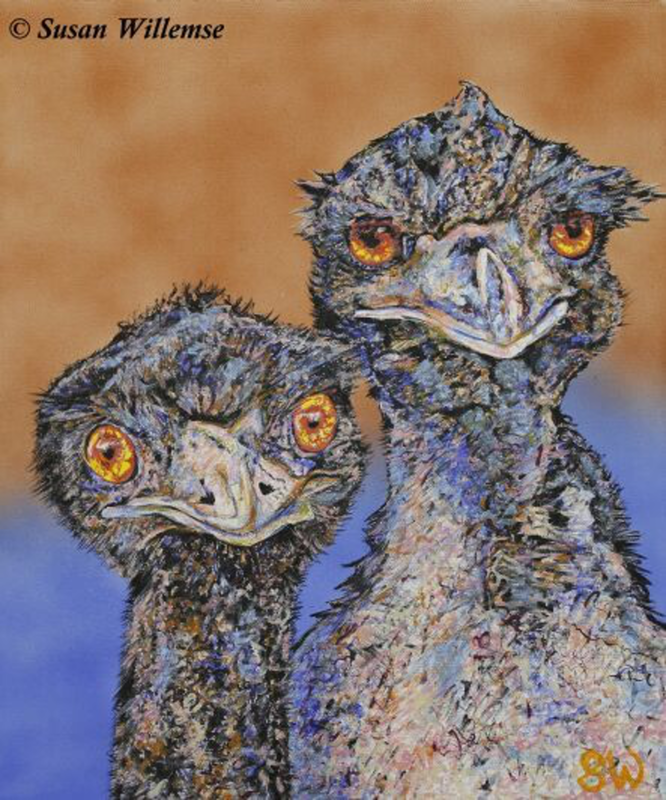 She is a full-time artist who is best known for painting Australian birds that she and her husband Steven Willemse photograph during bird watching excursions. 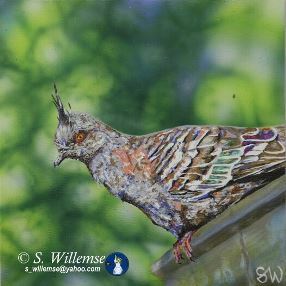 Susan Willemse references the photography images to outline bird shapes and forms and keeps this space open while working on the background reflections and colors with paint brushes and airbrush. 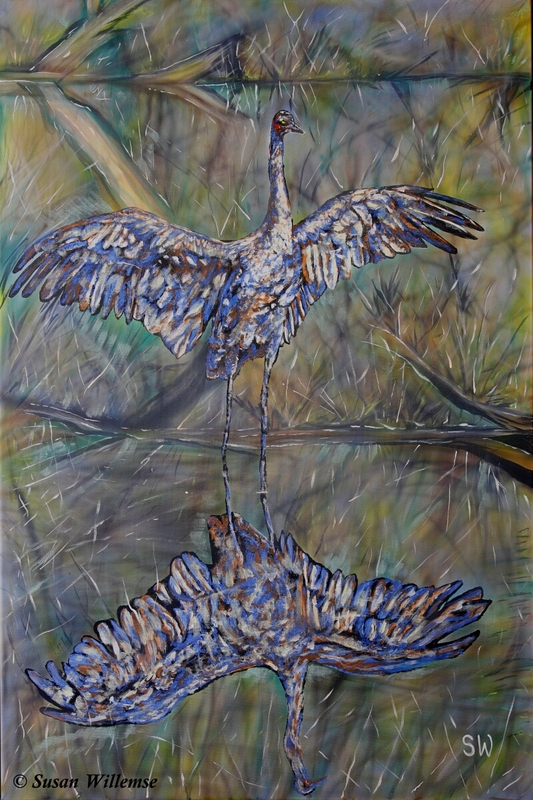 Knowing Australian birds well, the artist then sketches them with acrylic paint directly onto the canvas, paying attention to every detail, from the way light is reflected from their feathers to their posture. The result is truly impressive! This talented artist creates really amazing works that deserve greater recognition! Below are several paintings by Susan Willemse we especially love at Fine Art Shippers. It is also worth noting that many works by Susan Willemse have already appeared in multiple publications and at different exhibitions in Australia and abroad. 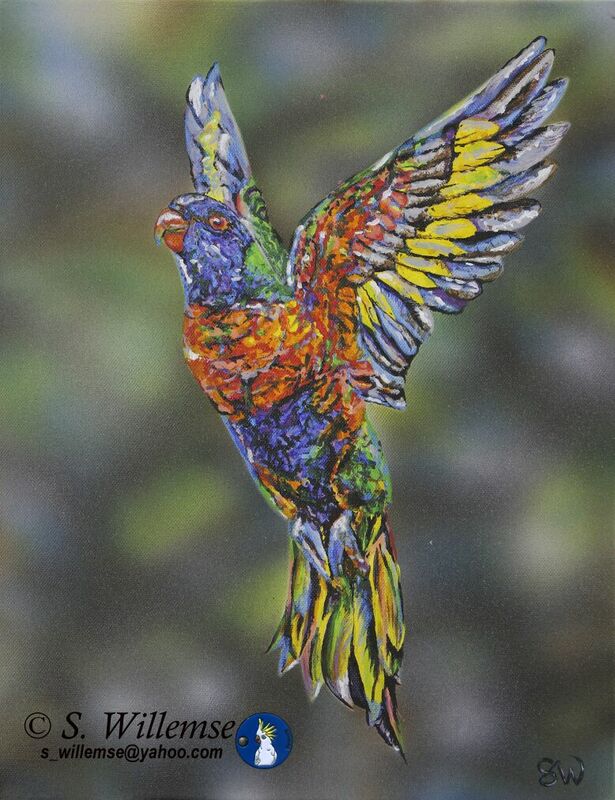 At Fine Art Shippers, we highly recommend everyone to learn more about Susan Willemse, her painting technique, and certainly her fantastic works depicting so many beautiful Australian birds! You are sure to fall in love with the colorful word created by this great contemporary artist!